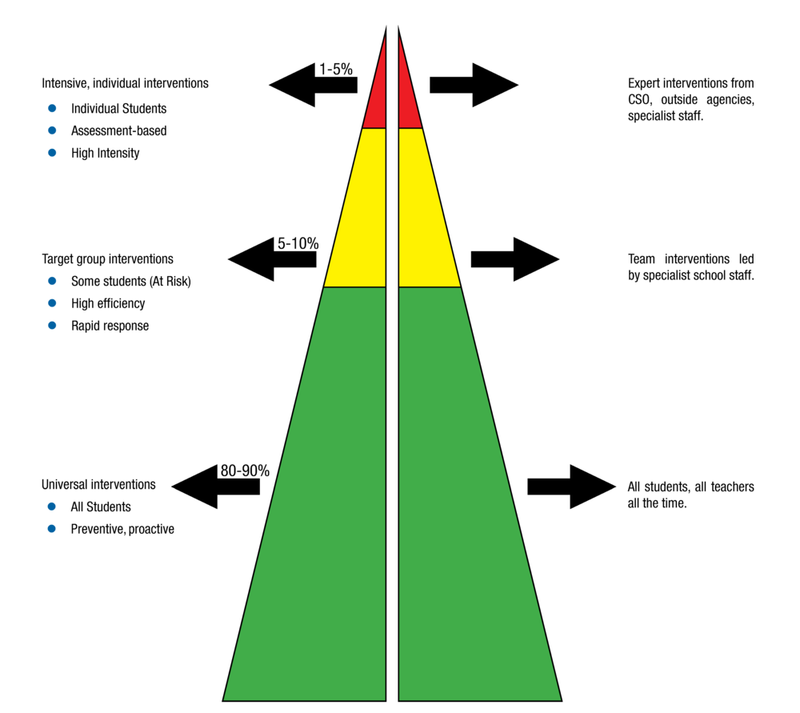 The PBS Triangle provides a model for interventions in schools. It reminds us that the majority of students are highly capable and self-regulating. They require excellent teachers and a school language of learning, encouragement and hope. Some students benefit from small group intervention to address a gap in learning or to replace an inappropriate behaviour. A small number of students require one-on-one expert intervention from specialist staff and/or outside agencies. The first work of leadership and staff is to take collective responsibility and accountability for improving teaching, learning and wellbeing. The first individual responsibility is to be an informed collaborator with a bias for action. Improve teacher and student classroom practice. Increase academically engaged time for students. Ask and answer the questions: Who is not learning? Who is not progressing? Who is already highly proficient? Plan next steps and interventions to support student learning and wellbeing.